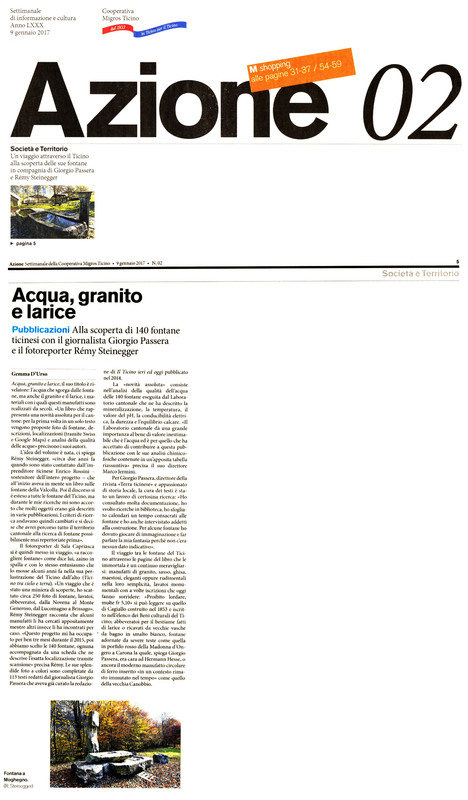 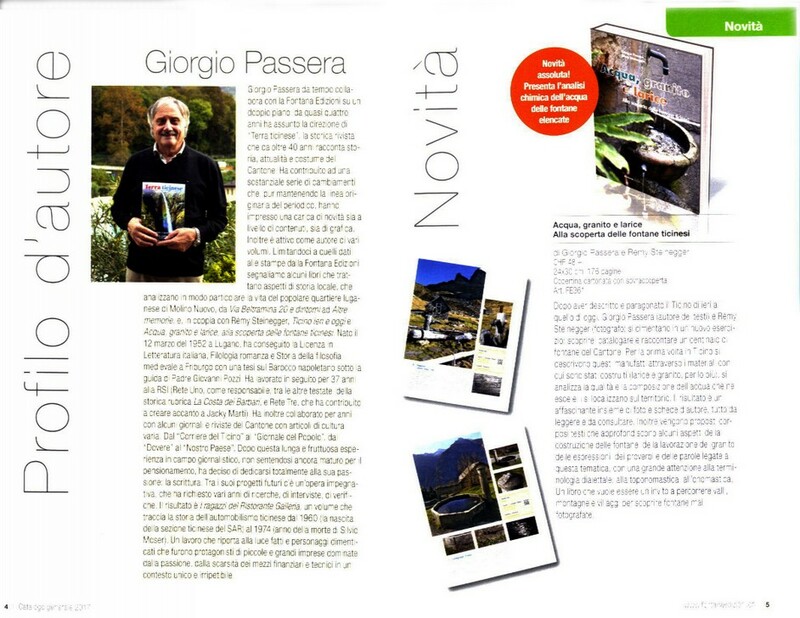 It talks about water, granite and larches, showing 140 fountains discovered in the whole region of Canton Ticino, southern Switzerland. 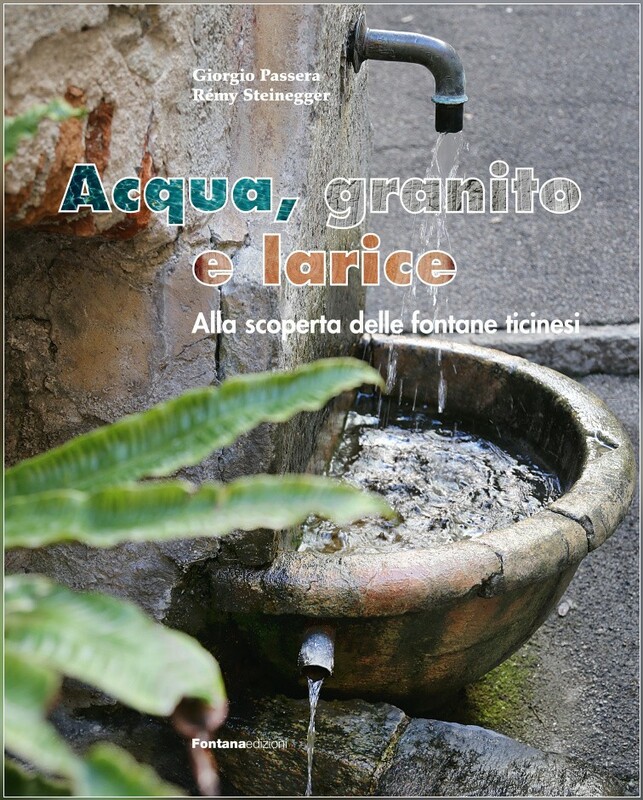 This coffee-table book talks about water, granite and larches, showing 140 fountains discovered in the whole region of Canton Ticino, southern Switzerland. 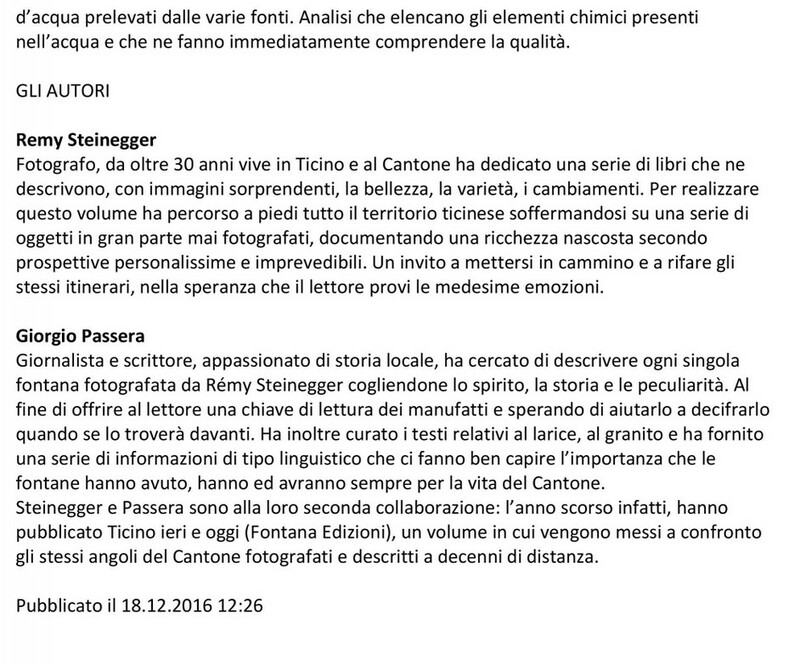 The text is in Italian. 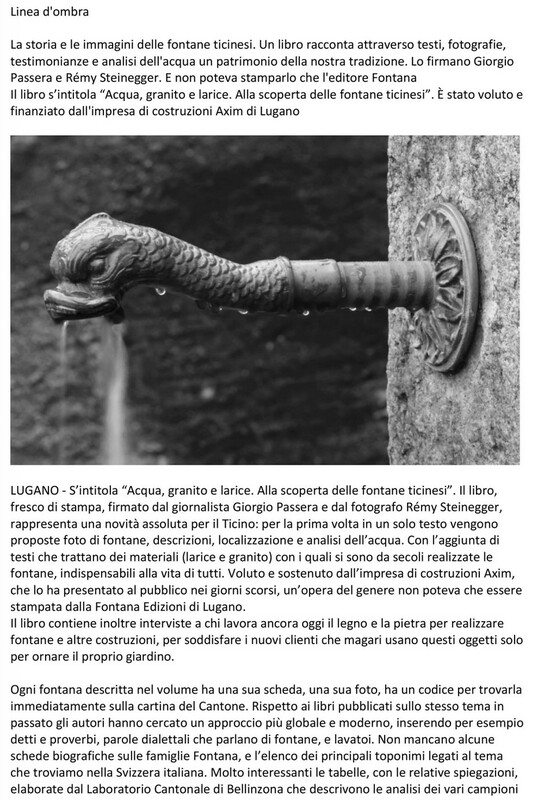 The idea to produce and sponsor this book was born in the mind of Enrico Rossini, AXIM Impresa Generale Lugano and developed by Sabrina Princigalli, Giorgio Passera, Raoul Fontana and myself.